You are at:Home»Florida Tech Bound»What Can You Do with an Electrical Engineering Degree? Electrical engineers create new and better electronics and electronic systems using principles of electricity and electromagnetism. An electrical engineering degree from Florida Tech will prepare students to have one of a variety of careers in the field, depending on a specific area of interest. 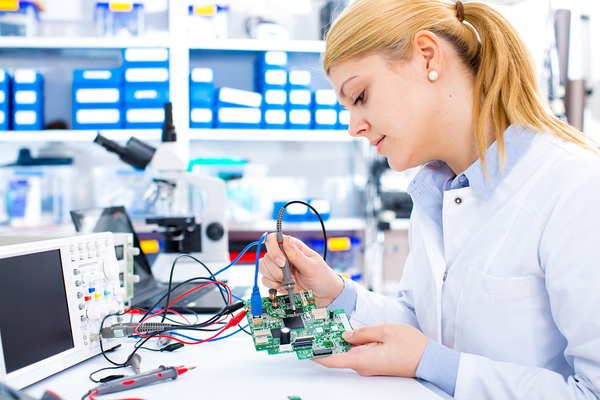 Working in a lab may be a possible job for some electrical engineers. At first, electrical engineers will learn basic electrical principles that they can later apply to projects that help them improve on existing electrical systems or electronics, or create something entirely new. As they gain expertise in a specific area of electrical engineering and build on their basic skills, FIT students will have opportunities to do internships and collaborate with peers on a project that creates a new electrical device or system. 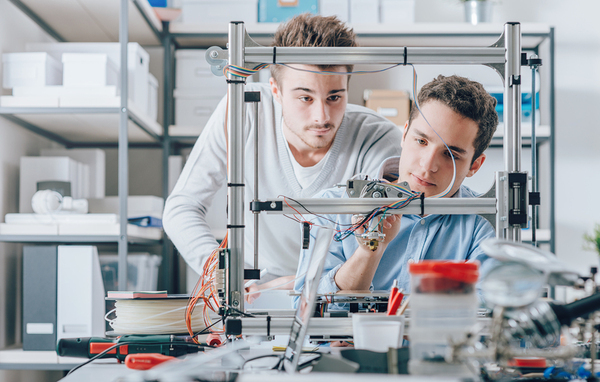 Incoming students often wonder, “What can you do with an electrical engineering degree?” Fortunately, there are plenty of options for them to consider. –They can work with architects to design and build electrical systems for homes, offices or other properties, using more efficient or sustainable power solutions and making the systems easier to use than existing systems. –They can work as biomedical engineers that create medical devices for the treatment of disease or for improved quality of life. –They can work to build computer hardware that can meet the needs of organizations or individuals, such as automation of complicated processes or of smart household devices. –They can work to install or repair electrical systems so that they function optimally and facilitate the needs of families or workplaces as they perform needed services in homes or businesses. –They can perform regular maintenance or upgrades to electrical systems to ensure that they are safe and effective to use each day and that they work as expected and needed. –They can work to keep the power grid secure and able to handle the demand placed on it, which continues to increase over time as more and more electronic devices become commonplace in society. –They can work as industrial engineers to develop or maintain technologies that manufacture and deliver goods and services to those who need them. Electrical engineering careers sometimes overlap with other career fields as well. –Systems engineers create electronic, computer-based systems that enable organizations to communicate with each other and perform needed business functions. –Nuclear engineers work with nuclear power providers to keep electrical processes safe and provide nuclear energy to electricity companies. –Energy engineers handle the systems that provide various sources of energy, such as alternative fuels or sustainable energy sources, to end users who want to be more efficient and sustainable. Electrical engineers will always work with electricity and electronic principles like electromagnetism, but exactly how they do this may well be quite varied from job to job or company to company. Although electrical engineering may not be the fastest-growing field of any surveyed, it is expected to be a growing field with many available jobs for new graduates. Learn more about Florida Tech’s electrical engineering program and how it can prepare you for a career in this exciting and growing field.